Until now Oculus Rift has been an expensive virtual reality headset that's had die-hard fans throwing money at their computer screens before ordering, many having never tried it. Now everyone will be able to try the Oculus Rift before buying thanks to sales beginning in UK shops from 20 September. 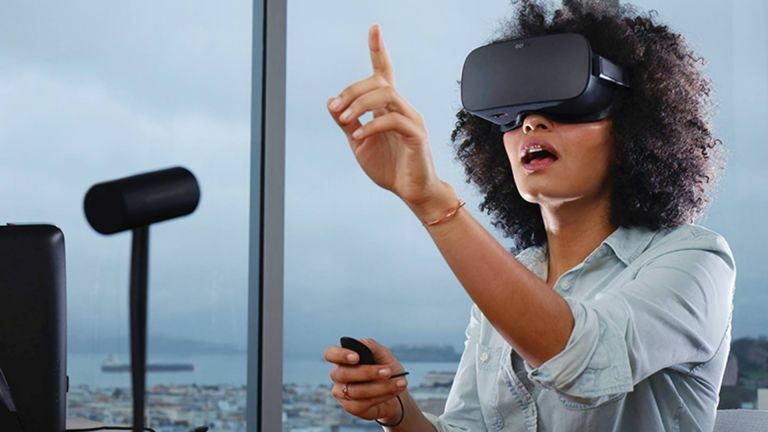 Oculus Rift is a virtual reality headset that works with PCs allowing the wearer to look around in the virtual world simply by moving their head in real life. This has a wider field of view, faster refresh rate for lower latency quality than cheaper alternatives like the Samsung Gear VR. It also allows you to play full-powered games in virtual reality like space shooter Eve: Valkyrie. The VR headset will be available in UK shops from 20 September for £549. While it has been available to buy online for £499 since launch, shipping costs are high and you don't get to try it first. That said, Game offers trade-in deals and £10 back for reward points for a potential saving there. UK shops like John Lewis, Currys PC World, Game and Harrods will sell the headset. Demo pods are being rolled out across the country and will feature stunning experiences. Oculus demos include: The Climb which has you solo climbing a mountain with beautiful and breathtaking views, Henry narrated by Elijah Wood for some cartoon fun, Farlands for a visit to a virtual alien planet, and Oculus Dreamdeck for trips to “impossible places and magical worlds”. The Touch controller won't be arriving quite so soon but will follow in October where potential buyers will also be able to try out these with the experiences. Minecraft has just launched on Oculus Rift so here's hoping the demo range will soon include that too.